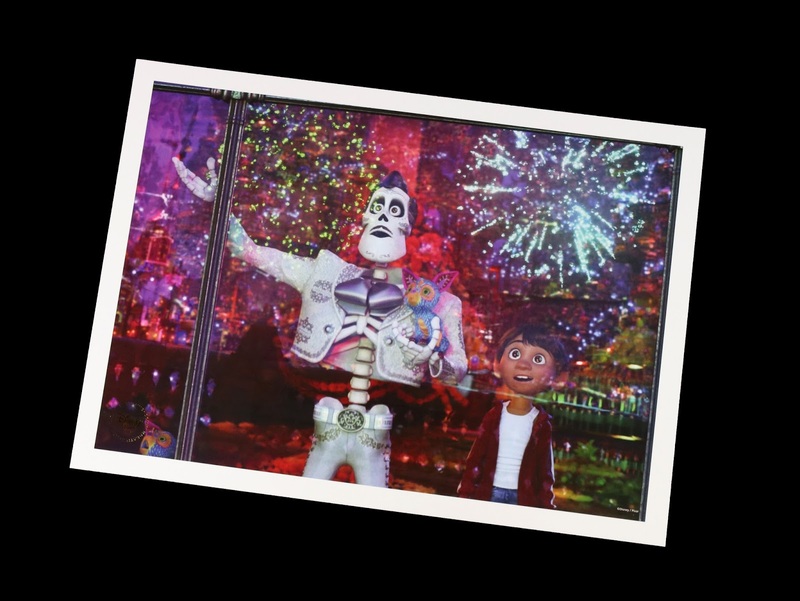 This past Friday was another big day for Disney·Pixar Coco fans, as it was made official that the home video release for the film will be February 27th—just a little over a month away! For those of you who prefer to purchase movies digitally these days, the digital release of the film will be here even sooner on February 13th. Either way, it's right around the corner and I can't wait! Check out my friends over at PixarPost.com for the full list of bonus content we can look forward to. 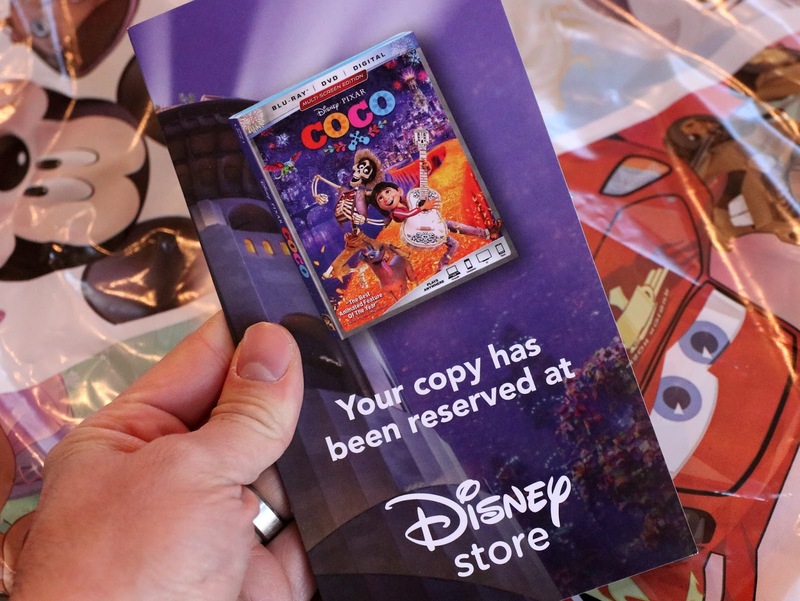 As usual, the Disney Store is now accepting pre-orders for the Blu-Ray/DVD/Digital Copy "Multi-screen" edition (which you can do in store or online). 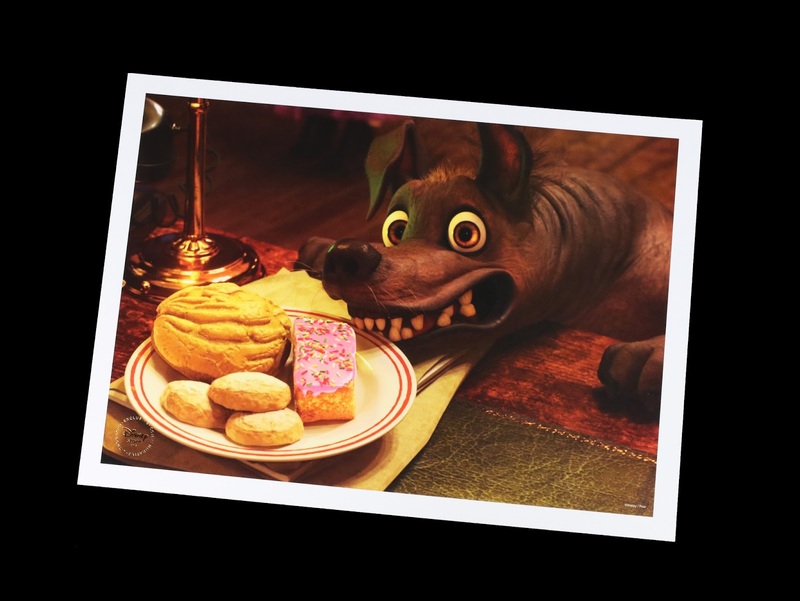 Do so and, per tradition, receive a FREE lithograph set of four prints (in a snazzy collectible folder) AND a $10 off $40 or more coupon valid the week of release! 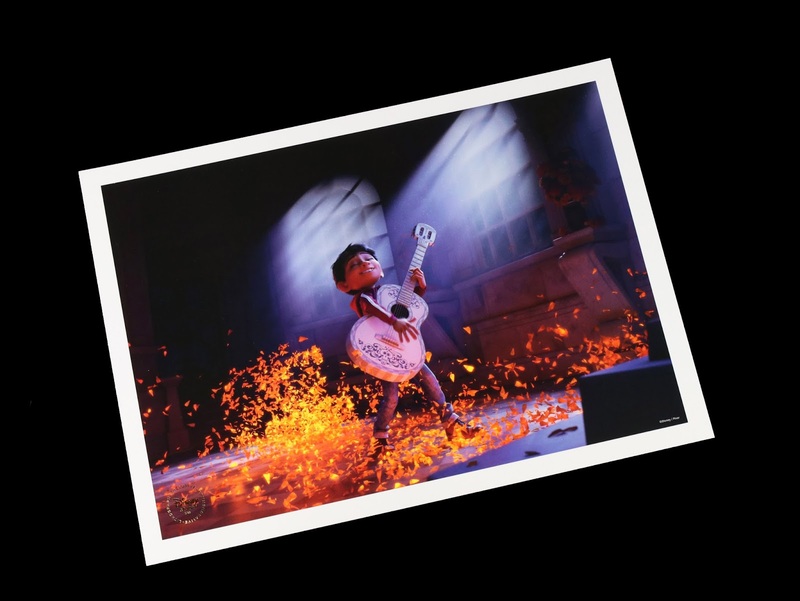 You know that's exactly what I did Friday night after work—gotta have my Pixar lithographs. Check out my photos of the lithos and folder below! I love how even the back of the folder has some marigold pedals floating about. Nice little touch. 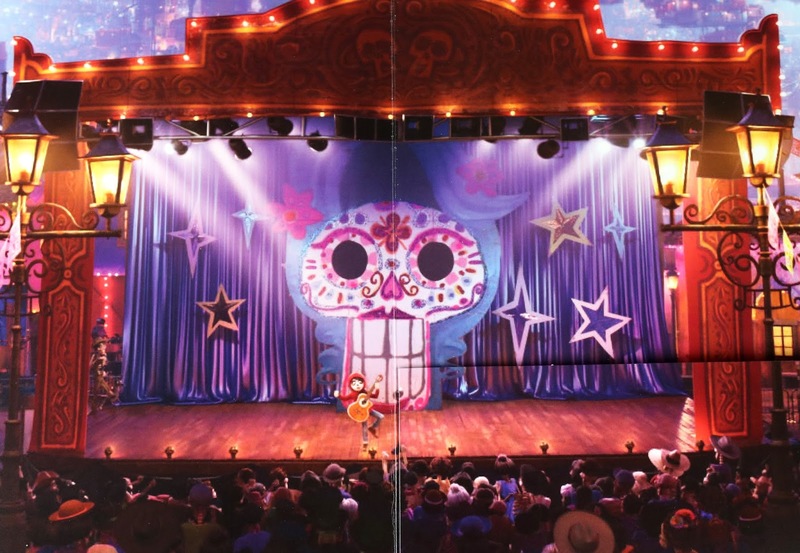 This still from the "Un Poco Loco"/talent show scene makes the perfect backing for the inside of the folder. Here are the lithos! 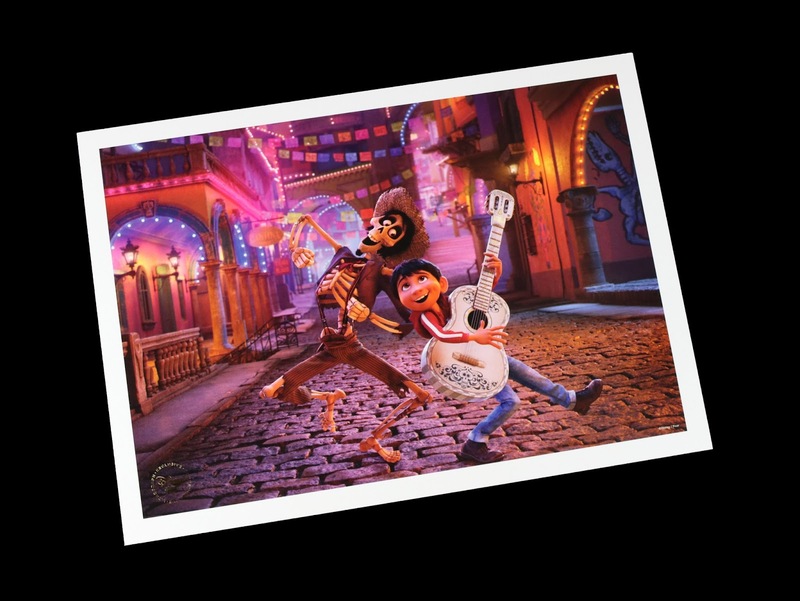 My favorites are Hector and Miguel dancing in the streets (directly below) and Miguel strumming his guitar (third down). 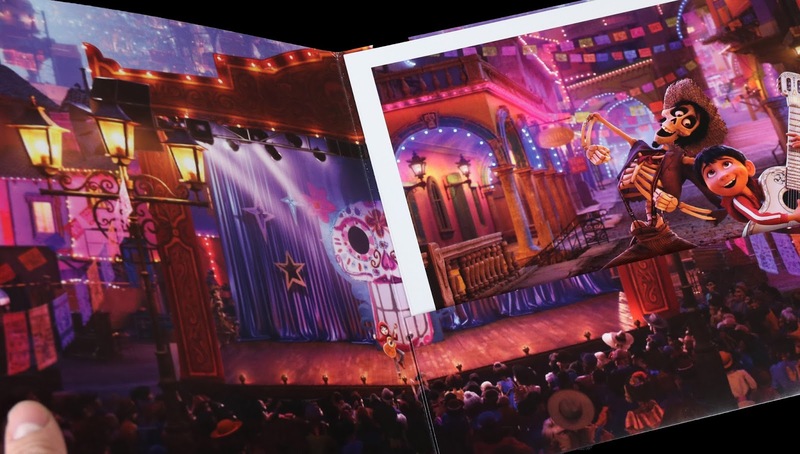 The only one I don't really care for is the Dante print; there are SO many stunningly beautiful shots in the film (like the marigold bridge, Pepita flying over the city or Miguel and Mama Coco—to name a few) that I just wonder how this one made the cut for this set. Nothing against the shot itself or the animation, I just feel there are other screen caps that would been more pleasing for display purposes. 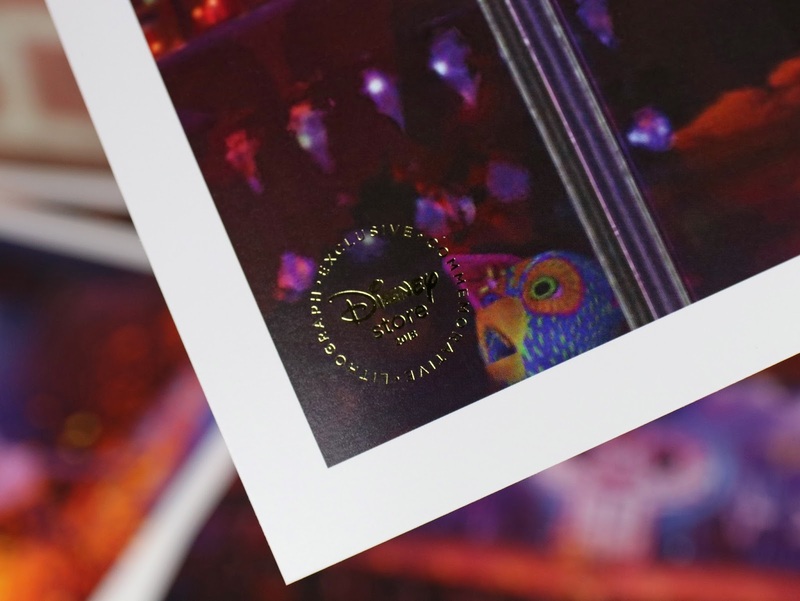 Each print is a standard size of 10"x14" (so it should be pretty easy to find basic frames for them) and is stamped with the official gold Disney Store seal for authenticity. 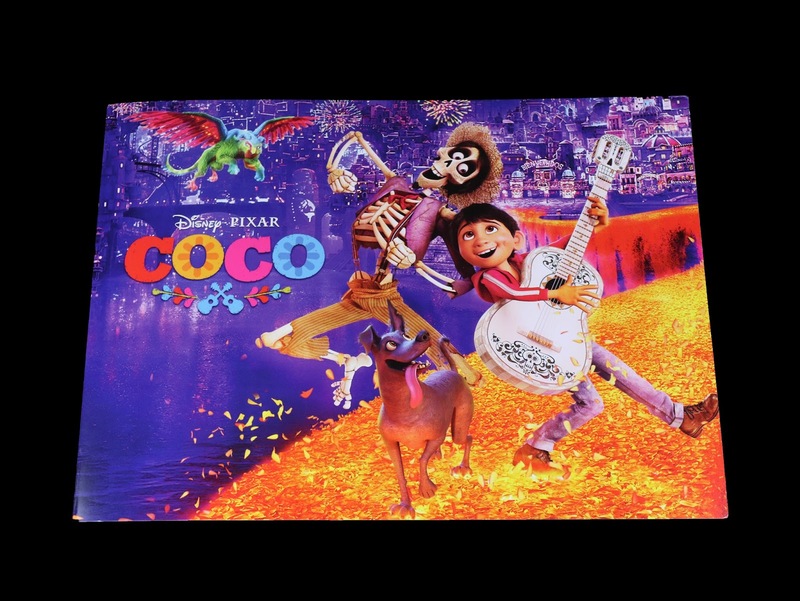 This lithograph set is only while supplies last, so be sure to head to your local Disney Store (or visit their website HERE) soon to pre-order your copy of Coco! Despite the fact that some of the images chosen could have been stronger, this is a very nice set. Highly recommended for any fan of the film! 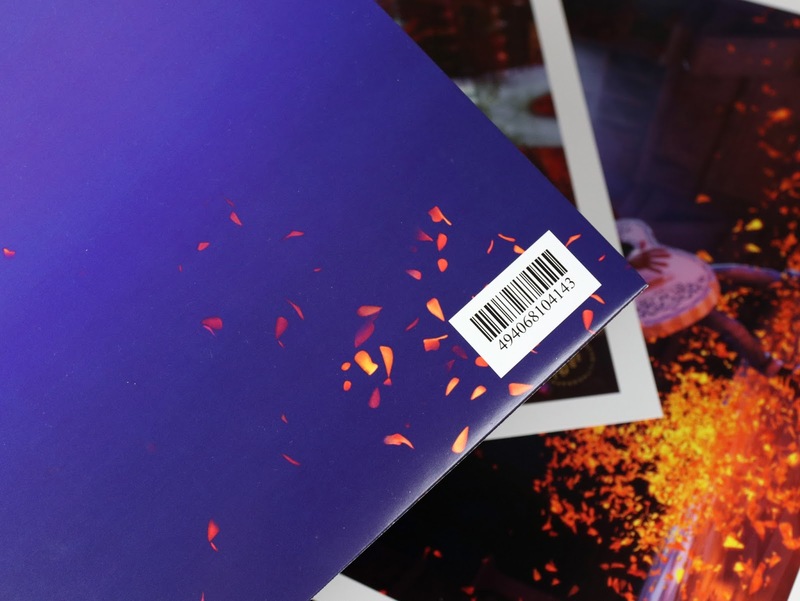 After all, they are free high quality prints—so why not? What are your thoughts? Which is your favorite image? Do you have a moment in the film you wish was represented here? Let me know in the comments below.